Cubby comes in strong in the market full with industry behemoths by providing simplicity of Dropbox and flexibility of SugarSync. Not only that, its DirectSync peer-to-peer syncing feature will catch the attention of many looking for cloud syncing without storage limits. With its attractive pricing, Cubby is already a serious contender for Dropbox and others to watch out. Read our full review below or if you can’t wait anymore, sign up now. Among syncing and cloud-based file storage services, there are two different practices when it comes to syncing. It’s either a centralized folder where you drop anything there to sync (a la Dropbox), or configure in your chosen service’s client app to sync any folder you want (a la SugarSync). The former is simple but rigid when it comes to folder structures since you have to move your entire folders into a centralized place if you want to sync, and the latter gives you a bit more hassles than former approach. Cubby actually offers a sweet middle ground for both. Let’s see after the break if Cubby is good enough for us to consider making a switch. Cubby is currently in beta, and it offers special beta price – 40% off for all Pro version users. It also has free Basic Version account which comes with 5GB storage space. Let’s take a look at the pricing in a bit more details. Basic Version. Free, and comes with 5GB of storage space. Through referrals, you can earn up to 25GB of free storage space as well. It has all basic features such as private and public sharing, syncing, desktop and mobile apps, and client-side encryption. If you’re excited about DirectSync then you’re out of luck with free plan. Pro Version. At current special beta promotional price 40% off, you will only pay $3.99 per month and get 100GB of storage for one user. At normal price, it’s gonna be $6.99. And it comes with all features that you have been salivating for, like DirectSync, Cubby Locks (user held encryption keys), and Level 2 support. For any additional storage, it’s gonna be $3.99/month per 100GB before the beta promotional price ends (no word on when yet, but possibly when Cubby gets out of beta). Regular price would be $6.99/month per 100GB. Every additional user will also cost $3.99/month per user, and we can safely assume that the price will be higher when beta ends. Right now, the highest storage you can buy from website is 1TB and you can also add up to 10 total users for your account. If you want more than that, you will have to contact their sales department. In comparison, Dropbox charges $9.99 for 100GB, and SugarSync will cost you $9.99 for only 60GB. The only contender when it comes to pricing would be Google Drive, charging $4.99/month for 100GB. But if you get in Cubby before beta ends, you will still get $1 cheaper rate on your monthly rates. Cubby’s main focus is on simplicity while introducing some really cool features, but they don’t go out of their way and offer us features just for the sake of having a huge list. It’s actually a good thing, since it shows that Cubby will be focused on delivering what it promises us, not releasing irrelevant features just to make the press. Unlimited Syncing. Same as any other syncing services in the market. Nothing much to talk about it here. DirectSync. Now this is sexiest feature of Cubby. With this feature, Cubby lets you sync unlimited folders and files across computers without using your cloud storage on Cubby’s servers. If you are not familiar with this, the key takeaway here is that it will “sync” so all computers will have offline copies of you folders and files too. When there is a change on one computer, it will be synced across Cubby’s network, and onto other computers. And yes, storage resides only on your computers, not on Cubby’s cloud storage. 25GB Free. Through referrals, you can get up to 25GB of free storage. Pretty cool, and it’s 2nd only to SugarSync which gives 32GB free storage in total. Public Sharing. 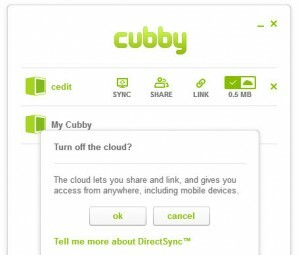 Same as generating public share links in Dropbox or SugarSync, you can share your files or folders on Cubby using public share links. People can only see what you share and download the files, not edit anything inside your cubby. So your files are safe. And yes, you can even do public sharing of files and folders under DirectSync. Cool, isn’t? Private Sharing. Private sharing is available only among Cubby users, so that you can privately share (no pun intended) files and folders with your colleagues or family. Collaboration has never been easier. When you do private sharing, shared files and folders will automatically sync to all shared parties. Unlimited Versioning. This is one thing Cubby beats out every competitors in the market. Sure, Dropbox provides unlimited syncing too but you have to pay extra for that. SugarSync only keeps up to 5 previous version of your files, while Google Drive will keep 30-days or 100 revisions. 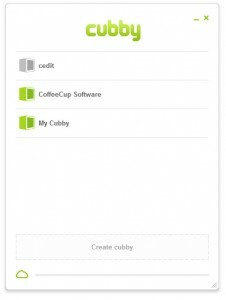 Cubby will keep all previous versions of your files, without any extra cost. How cool is that? Cubby Locks. Basically, these are user-held encryption keys, giving you extra level of protection for your folders and files. You are basically putting your files into a lockbox before putting onto Cubby, and only you have the key to unlock it. To use or share that folder or file, you will need to enter your account password, which is encrypted at your side. Cross-platform Compatibility. Cubby will run on Mac and Windows, and there is no word on Linux client app development. Mobile Apps. Cubby already has apps on iOS and Android platforms. The usual affair, actually. Cubby maybe new, but its parent company LogMeIn isn’t. In fact, LogMeIn’s products and services are used by millions of individuals and businesses, from government agencies to Fortune 500 companies. The experience and reputation of LogMeIn is clearly reflected at Cubby. Many other syncing and cloud-based file storage services use other public cloud services like Rackspace or Amazon AWS to deliver their services. Not Cubby. Cubby actually uses LogMeIn’s very own Gravity Data Services, which is their own proprietary data synchronization and storage cloud. Our data are protected in same way as LogMeIn protects their data, and we will be sharing same infrastructures as LogMeIn too. Cubby uses AES 256-bit encryption as its standard encryption, which is used by banks and eCommerce sites. Not only that, any folders and files uploaded to Cubby through its desktop application automatic encryption from client-side, offering another layer of protection. Cubby Locks also provide you with third layer of additional security for your sensitive documents. Cubby provides very good help center with extensive knowledge base, FAQ, and online support system. We didn’t even need to contact Cubby support team since all questions we have are answered by their knowledge base. The design of their help center is a joy to use, and visually appealing. Through help center, you can also give feedbacks too. Signing up is actually very easy. You can do so via the website (although no easy to find dedicated link to sign-up makes us think that they want to actually encourage signing up via the desktop app), or just download the client app and sign up from there. The home page itself encourages you to download the app. We chose to explore and found out that there is a small “sign-up” link in Log-in page. 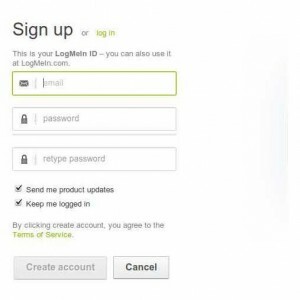 Turns out that you can use your existing LogMeIn’s account to access Cubby, and when you sign up for Cubby, you will get a LogMeIn account. But even if you are getting a LogMeIn account, kudos to Cubby and LogMeIn for not bringing us to LogMeIn page and making users confuse. And it doesn’t ask you so many fields to fill in. You only have to put in your email, and password. After that, it will send you a confirmation email but you don’t have to wait to log-in. As soon as you create an account, it’ll automatically log you into your account, welcoming you with a message asking you to download the desktop client app. Now, let’s explore the web app first. 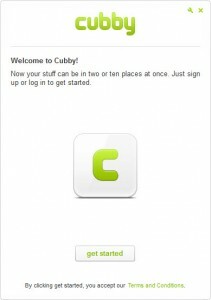 The interface definitely reminds us of Dropbox and SugarSync, and Cubby still carries its branding elements very well. You can create new “cubbies” which are folders on the web dashboard, manage each folder and files like whether you want them to sync on the cloud or use DirectSync, download, generate sharing link and deleting. But when we try to upload, we find out that the web app will only let us upload files one by file. There is no bulk uploader, nor drag and drop. It is a bit annoying, although we can understand that Cubby is meant to use with its desktop client apps. The file size limit for web upload is 2GB, which is pretty goddarn big. If you want to check older versions, just click on a file, and click on Versions at the above navigation bar that will appear when you select a file, and Cubby will show you previous versions. Restoring is pretty easy too. And if you want, you can erase previous versions of a file. Useful when you have a finalized version and don’t want to accidentally restore to an older version. That’s pretty much about it for the web apps. Yes, it actually leaves a lot to desire. We actually want more functions, and we aren’t asking for more. Just a function to upload multiple files at once would be pretty good. But since Cubby is still in beta, we hope that they will improve the web interface once it exits beta stage. The desktop app is a joy to use, actually. The interface still carries a lot of elements from its web interface, crisp clean with a lot of white space. 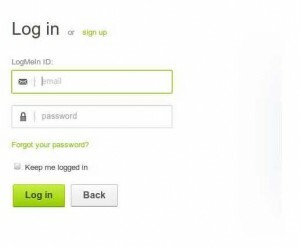 After installing the desktop app, you can sign up or login. After logging in, you can start adding cubbies by drag-n-drop folders and files into the desktop app. You can also use “Create cubby” button, and point the folders you want to. Oh and the grey one are using DirectSync. And here is one thing to note, you cannot add sub-cubbies, but if you add sub-folders into a folder a cubby represents, that sub-folder will be synced too. If you want to do DirectSync for a folder that’s already syncing onto the cloud, you just have to turn off the cloud option and it will automatically switch to DirectSync (if you are on Pro version account). This is very easy. You can also configure DirectSync separately. 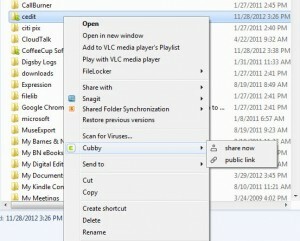 Cubby will also put itself as in context menu, allowing you to instantly put any folders and files into “cubbies” and also generate public link to share. This is very much like SugarSync. Cubby is still in beta, but it’s already a joy to use. And beta status doesn’t stop us or other reviewers from giving it very high rating. It works the way we expected it to, and its designs for both web and desktop apps are very well-designed, clear, easy to use and user-friendly. The flexibility it offers to sync any folders we want without having to configure too much, combining the simplicity of Dropbox with Sugarsync’s function to sync any folder, eliminates any confusion that users may have. The best part is in its DirectSync function, since it essentially eliminates storage concerns for cloud-based file syncing. Overall, we are very confident that Cubby is ready for serious usage, even in beta, and it will be a serious contender for the crown in syncing and online file storage market. Watch out, Dropbox! Hmmmm. For a beta tester I would have expected you to notice the lack of delta-sync and indexing of block data. If you change a folder name all of the files in that folder must be re-uploaded. Ditto for files. Imagine if you renamed a 250MB file or accidentally renamed a 50GB folder. Bug show stopper. This isn’t even mentioning the lack of media support on mobile for shared video files; forget sharing that video you took of junior with grandma. On Dropbox sharing video actually works. Also, many reports of users losing files mysteriously with Cubby. I haven’t lost any but it is more than a few saying it. There is a reason why Cubby is priced at nearly 1/2 the price of any other service. You get what you pay for.